We arrived in Nimes yesterday and pretty much crashed. We were tired. In the evening, we were invited to the house of Alain and his family for a crepe party. I’ve never experienced anything like it, and it was a lot of fun. Basically there’s a large griddle in the middle of each table with 6 circular spots and one person ladles out the batter onto each spot. Then it’s your responsibility to watch your crepe until it’s ready. 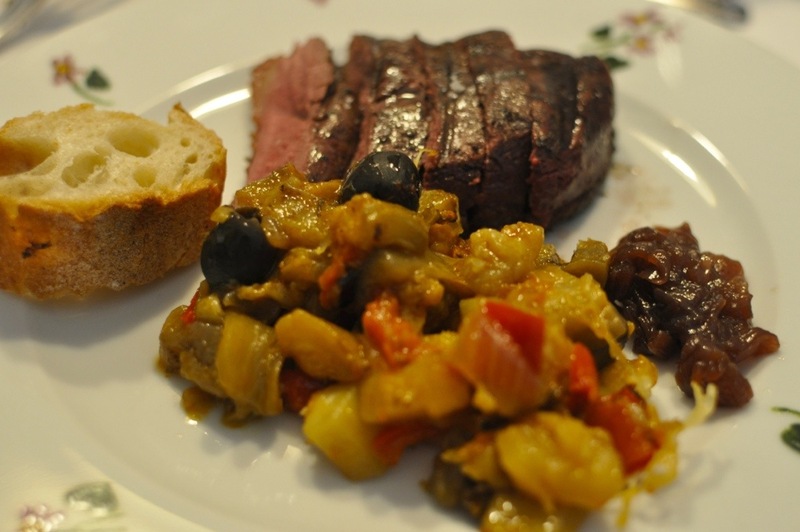 When it’s done, you can transfer it to your plate, add yummy savory things like ham, leeks, and cheese, and then eat away. It was a fun social experience. Somehow I got seated at the teenagers’ table (which made me feel a little old) but it was fun hearing them quote American cultural references and trade broken English (them) and broken French (me) phrases back and forth, with the occasional help of a dictionary. 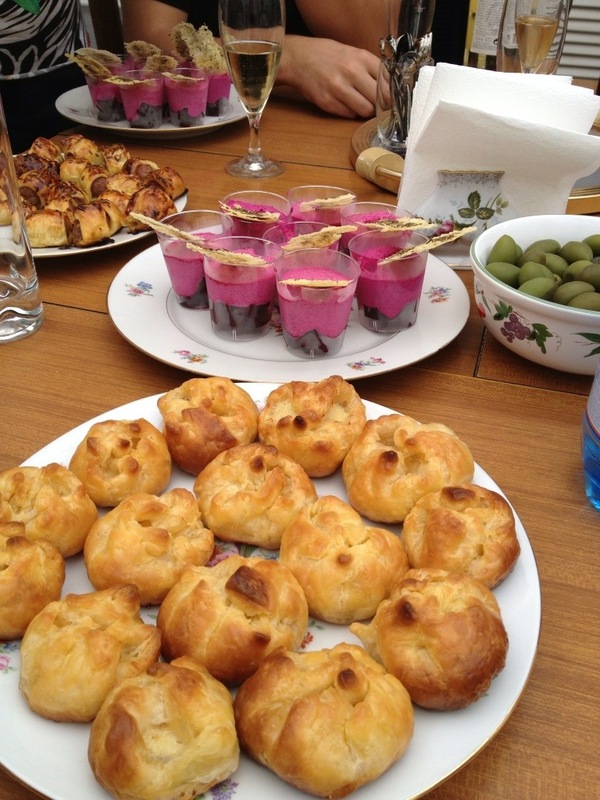 Our meal started with hor d’oeuvres on their terrace accompanied by bubbly champagne. From the front to back: Codfish in puff pastry (trust me it tastes SO much better than it sounds), home-cured olives, beets and fromage blanc with a toasted parmesan crisp, and in the background, sausage in a puff pastry. And this was just the hor d’oeuvres! Onto the appetizer (or entree as they call it in French): Cured duck salad accompanied by (the best part!!!) 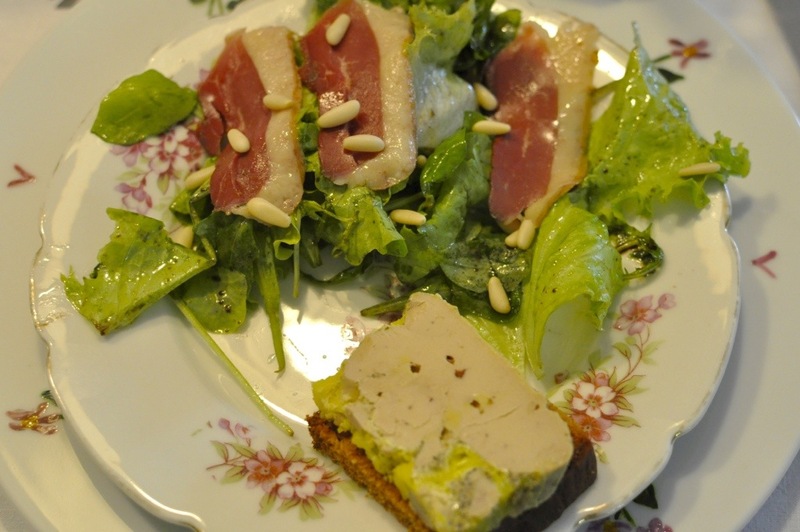 foie gras on ginger bread. Oh, and accompanied by a Muscat. Soooooooo goooooooooddddddddd….. 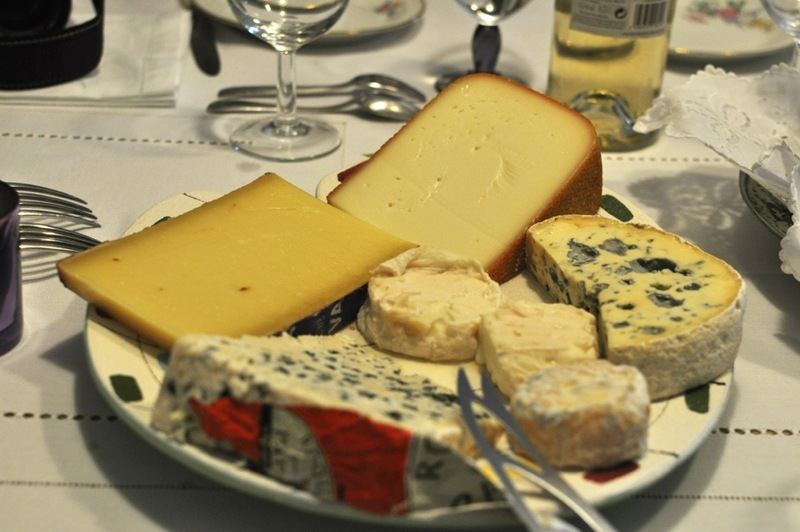 Cheese course with a variety of sheep, cow and goat’s milk cheeses. By this time, I was so full that I could barely take a couple bites. And I love cheese! After that gastronomical adventure, Frenchie’s father correctly surmised that we needed to do something to work off all of that food. 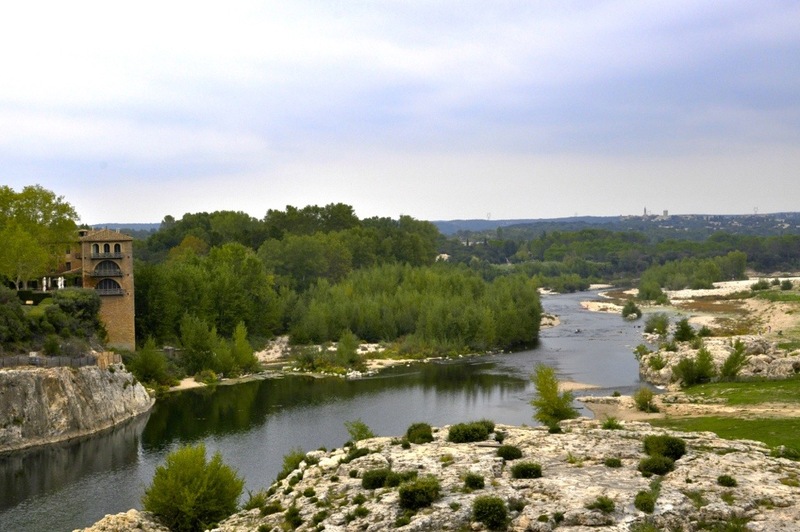 So we went to the Pont du Gard. 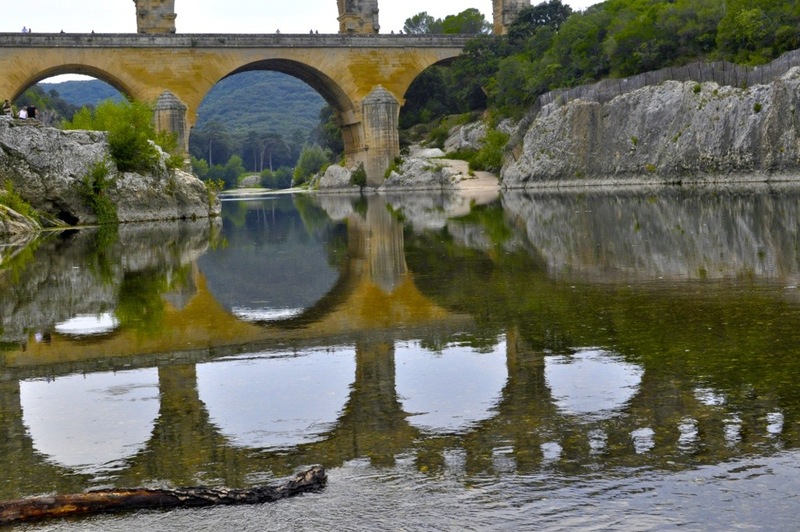 The Pont du Gard is an ancient aqueduct bridge built around 50 CE by the Romans. 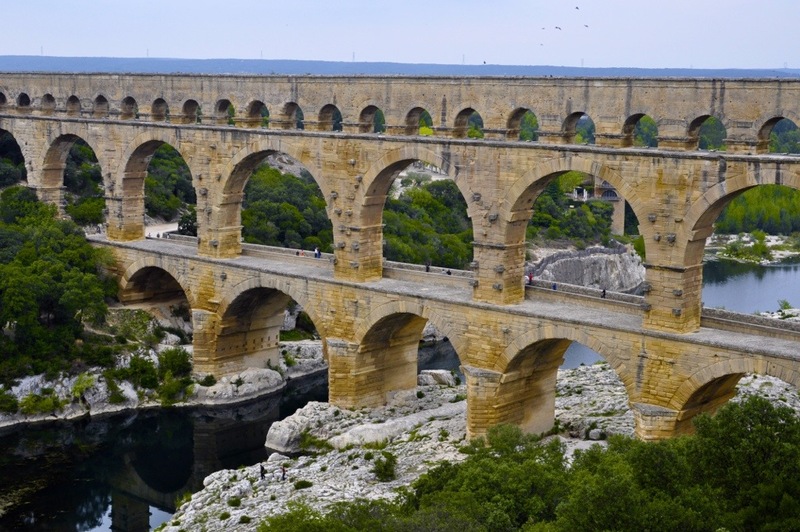 It is the highest of all aqueduct bridges. 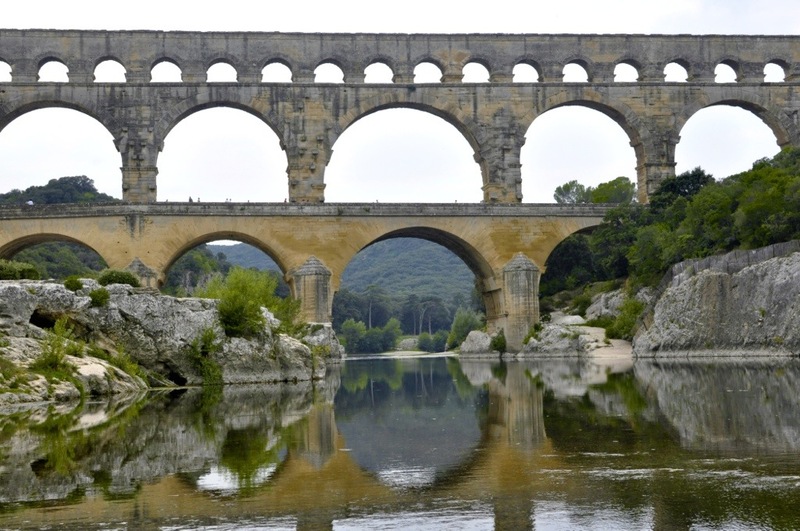 I’ve seen pictures of the Pont du Gard, but there’s nothing like seeing this gargantuan bridge in person. It was a lot of fun to walk, climb, and hike around the bridge and hopefully we burned at least a few of the calories that we consumed. 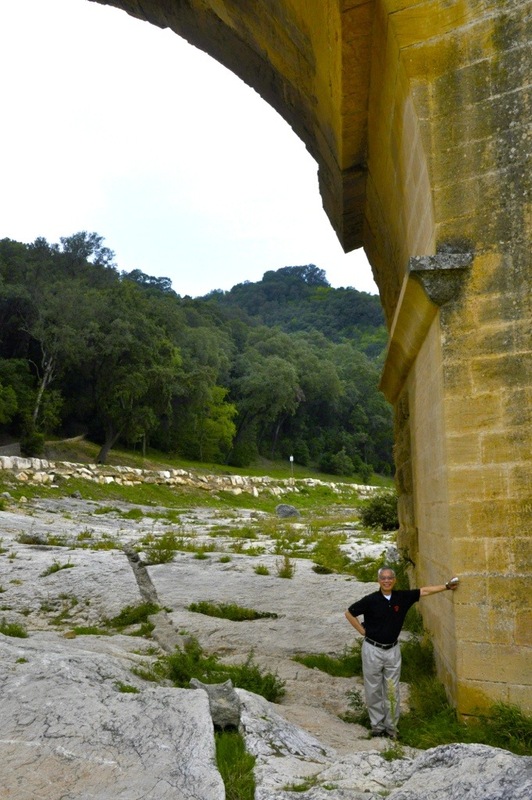 Using my dad for scale shows you how massive the aqueduct arches are! What a day! Sleep will feel so good tonight. 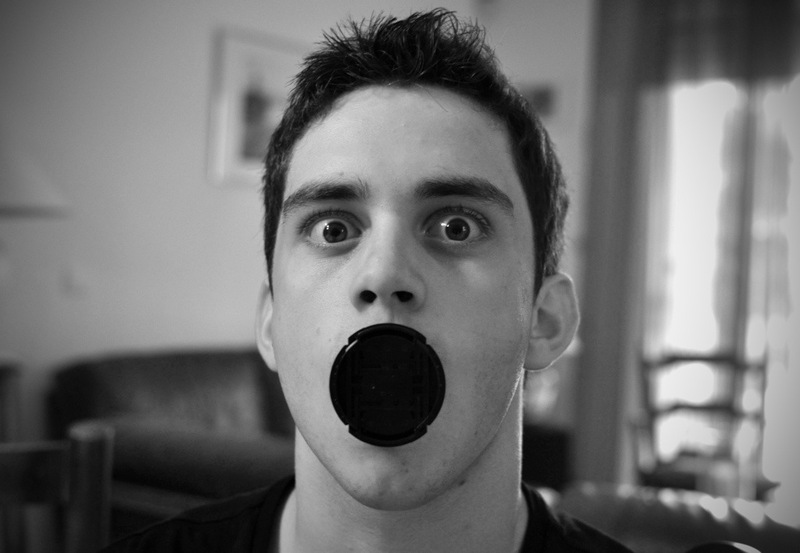 Bonne nuit! P.S. Oh, and I forgot to add: Go Giants! The food looks excellent! 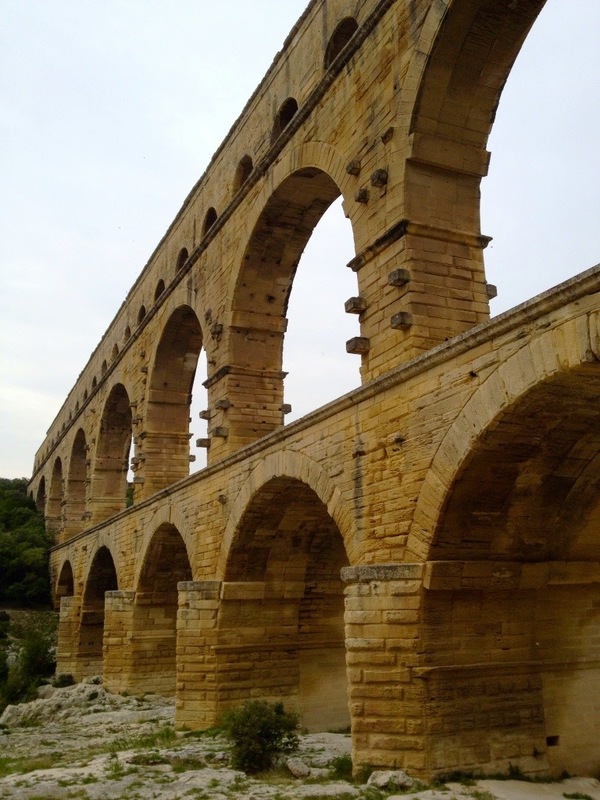 Beautiful aqueducts too. It was all amazing! I’m going to miss French food, but my waistline isn’t. Thanks!